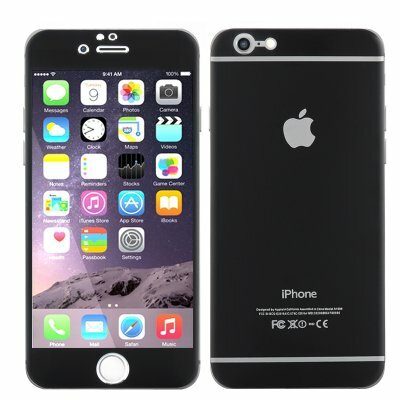 Successfully Added iPhone 6, 4.7 Inch Protective Cover - Titanium Alloy Back, Scratchproof + Shatterproof Tempered Glass Front, 9H Rating (Black) to your Shopping Cart. If you have an iPhone 6 then you most likely appreciate style and good looks as well as functionality. The biggest danger to these is an unfortunate but all too common accident like dropping your phone. This could easily spell disaster and result in a cracked and broken screen or worse yet an unusable phone. Even if you’re lucky and the screen is unharmed the beautiful outer will become scratched and after time will start to look drab and messy. Buying a new phone is far from cheap and even getting a screen replaced can cost an eye watering amount. The best cure, as they say is prevention, and how better to do so than investing a few dollars in protecting that lovely iPhone 6 you care about. For what works out about the same price as a Grande Carmel Macchiato you can protect you phone with a H9 rated tempered glass screen that's scratch resistant and shatterproof to protect against drops or bouncing around with keys in your pocket. You will also get a rear titanium alloy protective cover that keeps the back of your phone safe and in premium condition as well. The perfect way to keep you phone in tip top conditions and it will also add to you resell value when you want to upgrade to the next generation of devices. Not bad for less something that costs less than a coffee. This product is in stock now, we offer a 12 months warranty on all our products. Brought to you by the leader in electronic devices as well as wholesale protective phone covers, Chinavasion..